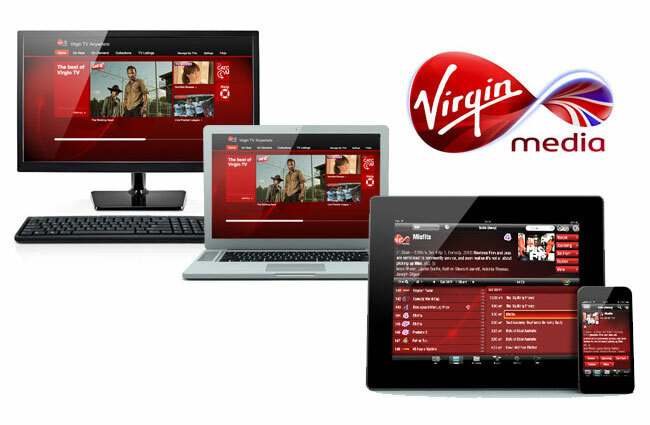 Virgin Media has announced 21 new TV channels will be arriving to its cloud-based TV Anywhere service thats allows users to watch both live and on-demand content via mobile devices and tablets. The new TV channels will be available on both the iOS and browser based TV Anywhere service and include : Animal Planet, Cartoonito, Channel 4, Discovery Channel, Discovery History, Discovery Home & Health, Discovery Science, Discovery Shed, Discovery Turbo, Dmax, I.D. and More 4. Other new TV Anywhere channels area also available from laptop and PC versions of TV anywhere and include : MTV, Nick Jnr, Nickleodeon, Quest, Sky 2, Sky Arts 1, Sky LivingIt, Syfy, TLC (from 30th April) and Universal Channel. Scott Kewley, Virgin Media’s multiscreen product director said. Virgin Media is currently working on a new Android application for their TV Anywhere service that will be launching on Android devices later this year. **Virgin TV Anywhere was launched in November last year, a considerable time after the introduction of Sky Go back in July 2011. Both the iOS app and browser-based portals for Windows and Mac OS X users are available exclusively to Virgin TV subscribers, and the content on offer varies depending on their individual package.